Do Sit Ups Burn Calories Faster than Walking? Just the other day someone asked me, "Do Sit Ups Burn Calories Faster than Walking?" Of course, everything we do burns calories and sit ups and crunches are no exception. The person was asking me because they were trying to figure out how many sit ups they had to do in order to burn off the 2 cookies they ate at lunch (240 calories). Crunches and Sit Ups burn calories, but as with any form of exercise the intensity and duration are the major determinants of how many calories are burned. If you were to take an abs class and really work your abs hard and non-stop, you'll burn more calories than if you do a few sit ups rest for a couple minutes and do a few more. Two other factors that affect the calories burned during exercise are your weight (body fat percentage) and how many muscles you are using. A larger person (or a person with more lean body mass) will burn more calories during the same exercise as a smaller person. Also, the more muscles the exercise requires the more calories burned. For example, if you're using your arms and legs, you will burn more calories than if you're just using your arms. The ab muscles are not a large as your leg muscles, so generally speaking you will burn more calories when you're using your legs. Generally speaking, a brisk walk with a dog burns about 5 calories per minute if you weigh 150 pounds (a little lower if you weigh less and a little higher if you weigh more). Watching TV burns about 1 calorie per minute (150 pounds). Jogging burns about 11 calories per minute (150 Pounds). Tossing a Frisbee burns about 3 calories per minute. These are just estimates, the only true way to know how many calories burned during crunches or other ab exercises is to go into a physiology lab and measure it. But use the estimates as a guide. In my best estimation of comparing sit ups to other exercises, I would say that sit ups burn about 3-5 calories per minute. 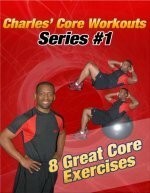 If the sit ups (or other ab exercises) are combined with other intense exercises in a circuit, I believe you can burn up to 10 calories per minute. If you compare sit ups and walking over 1 minute, they would be fairly similar. But, walking is a continuous activity and would burn about 50 calories in 10 minutes. Because you would take rest periods during 10 minutes of ab work, I anticipate that the total number of calories burned during 10 minutes of sit ups would be less than 50 calories. Let's do a little math to finish this discussion. If you do sit ups really intensely you can burn around 10 calories a minute and would probably complete about 50 sit ups. So in order to burn off 240 calories, you would have to do 24 minutes of sit ups (10 calories/ minute) or 24 x 50= 1200 sit ups. That's a lot of sit ups. If you wanted to burn 240 calories walking, you would have to go for 48 minutes at 5 calories per minute. But here's a cool physiology stat for you... a 150 pound person burns about 100 calories per 1 mile traveled by foot. So to burn 240 calories you would have to travel about 2.5 miles. The faster you walk or jog the more calories you burn and the faster you get to 2.5 miles. Even though sit ups burn calories, I think it's much easier to walk or jog 2.5 miles than it is to do 1200 sit ups. So, my advice is to do crunches and sit ups to strengthen your core and not simply to burn calories. If you want to lose fat faster and burn more calories, I recommend that you add 20-60 minutes of aerobic exercise to your routine 3-5 days a week. Check out this site to get an estimate of how many calories are burned during other activities. Hopefully, when someone asks you "Do Sit Ups Burn Calories Faster than Walking?" you'll have an answer for them. If you do sit ups really intensely you can burn calories, but aerobic exercise that uses the legs will normally burn many more calories than ab exercises. If you want to burn calories and lose fat, my recommendation is to spend more time doing aerobic exercise than sit ups. I hope this helps give you a perspective about calories burned during sit ups. Return to Six Pack Abs from the article "Do Sit Ups Burn Calories Faster Than Walking?"